OUT TODAY: Having fast become known as one of the premier indie cult groups and certainly one of the better opening bands in the United States, Matt & Kim (Matt Johnson and Kim Schifino) have further defined their sound here in 2009 with Grand - an effervescent, quirky and undeniably good full-length release. Not only is it their best material released to-date, it's also the first must-own record of the year for the purveyors of good taste! 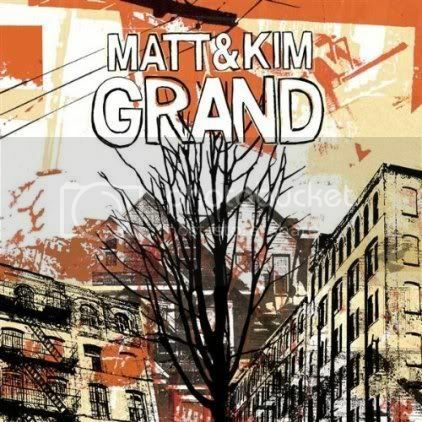 GRAND MARKS THE COMING OF AGE OF MATT & KIM: It's ironic that Matt & Kim, who began playing music together as single people and are now married to one another, wed such a number of influences into their songs. There are clearly elements of post-punk and the dissolution sound mixed in with the indie songcraft. The themes are highly theatrical, exposing the band's experimental side . This is a skill set we have come to respect and to love from the likes of MGMT, Of Montreal, The Yeah Yeah Yeahs, Fiery Furnaces, The Dresden Dolls, Jukebox the Ghost, and Talking Heads. But there are no absolutes in this new Matt & Kim, as evidenced in one of our favorite songs on the album; Lessons Learned, a track powered by pounding drums which are evened with keyboards and then brought back by the soft kew of Kim's voice. By the time Matt enters the song, we are more than ready to listen... These songs are more sophisticated and layered but yet still basic and the air about them is free. The percussive hand claps in Don't Slow Down play perfectly against the organ. Grand is balanced and these songs just feel right. In other words readers, "we have a winner." 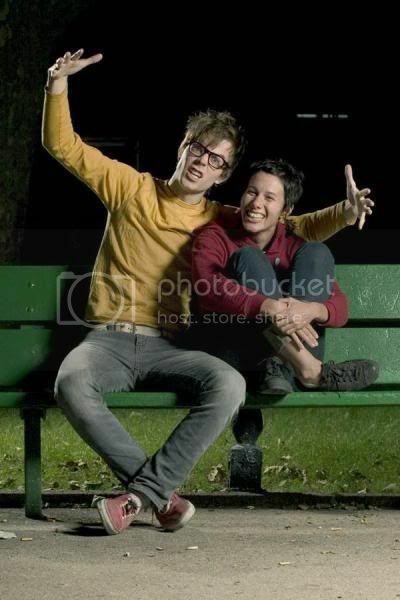 Matt & Kim make me happy.